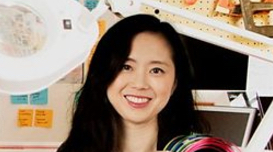 Haiyan Zhang is innovation director at Microsoft Research Cambridge, exploring new ‘Connected Play’ experiences enabled by new technologies. She is co-founder and design lead for the innovation platform, OpenIDEO.com, bringing together a global community to solve challenges for social good and used as the enterprise innovation engine for organisations such as British Airways, DeutscheBank, and Harvard Business School. Emma Lawton is 33 and lives with Parkinson’s disease. One of her challenging symptoms is a tremor in the hand that she normally writes with, which is less than ideal as a professional graphic designer. But a new television documentary shows her rediscover her ability to draw again, thanks to some brilliant innovation. ‘The Big Life Fix with Simon Reeve’, on UK television channel BBC Two, follows some of the country’s top engineers and designers as they invent life-changing solutions for people living with chronic conditions. In the programme Emma explains how Parkinson’s affects her working life: “I tend to avoid sketching and writing now, because it’s not worth it.” She is shown trying to draw straight lines but they all come out very wobbly. 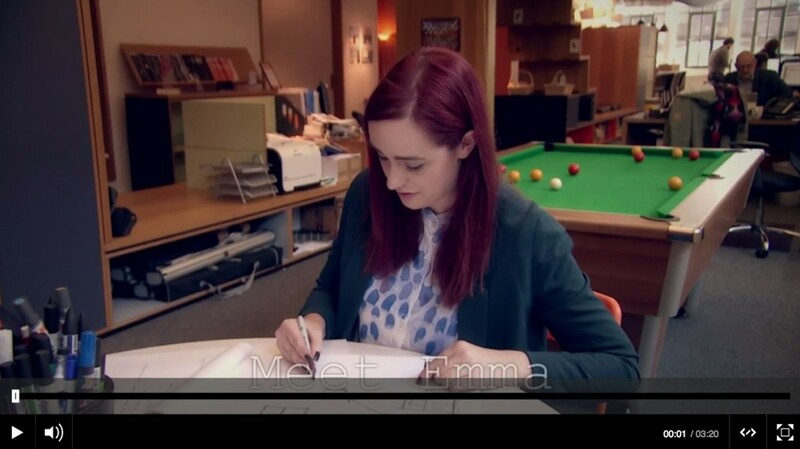 “Being able to sign my name would be a really incredible thing,” Emma adds. Haiyan Zhang, innovation director at Microsoft Research, was determined to help Emma by creating a device to restore control over her pen. Haiyan’s idea is informed by her previous work as a software engineer where she created applications for the biomedical and data-mining industries. In building the bespoke tremor-reducing device to help Emma, Haiyan based her invention on the gyroscope principles used in vibrating cutlery technology. The wearable vibrates in opposition to the uncontrollable tremor in Emma’s hand and allows her to control the pen with much more accuracy. Watch a clip from the programme below. 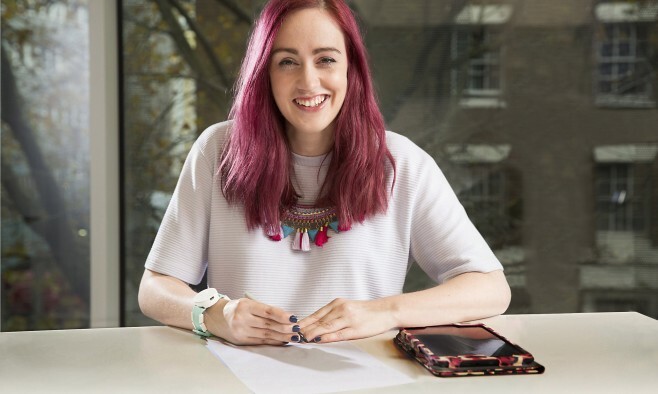 “It makes me excited about the fact my future is back in my control, it’s back in my hands… it makes me forget that I have a tremor,” Emma says. Emma’s watch is an early prototype and the show’s producers are currently exploring opportunities for further development. With around 70% of people living with Parkinson’s experiencing tremors – one of the most common symptoms of the disease – Haiyan Zhang and team hope to develop the technology so that it might be available to more people in future.